Peterborough Presents, Vivacity Culture and Leisure Trust, Nene Park Trust and Metal are happy to announce the selected artists for the Nene Park Commissions. The artists will kick-start their research in the city in late April attending an intensive development LAB at Metal, with the new artworks presented as part of a weekend festival on 20th and 21st August at Thorpe Meadows in Peterborough. Vivacity Culture and Leisure Trust, ‘Peterborough Presents’ (the Creative People and Places programme for the city) and Nene Park Trust are seeking to reinvigorate their substantial public sculpture collection at Thorpe Meadows by commissioning five artists to create new temporary art works and interventions. These resulting new commissions will be showcased at a weekend of new festival activity surrounding the sculptures in August 2016. Each selected artist will receive a fee of £3,000 and a materials budget of £4,000 towards creation of their work. All accommodation, travel and expenses will be covered for the LAB week at Metal in Peterborough and the Progress Sharing session in June. Any other expenses linked to personal research trips, or delivery of workshops etc. will need to be covered by the artist as part of their fee. Applicants must be available to attend the full LAB and the Nene Park Festival weekend. Selected artists will be required to attend an intensive 4-day Research and Development LAB run by national arts organisation Metal at their base in Peterborough (Thursday 28th April – Sunday 1st May 2016). The LAB will bring together the successful applicants for site visits and talks / mentoring from specialists in the fields of public art, audience engagement and site-specific interventions. This intensive four days will be managed by Metal with invited key speakers and mentors including Laurie Peak (Director of Super SlowWay), alongside the team of local partners. Following the LAB, the selected artists will have three months development time to complete their commissions ready for presentation at the August festival weekend. A further group feedback session is scheduled for the first week of June to share progress with commissioners. Vivacity and Peterborough Presents staff (acting as lead commissioners) will provide project management support to each artist throughout the development process, making links to local community groups and offering access to their facilities if required. The sculpture collection was purchased by Peterborough Development Corporation. PDC were tasked with overseeing the expansion of the City and as part of this it sought to encourage an appreciation of the arts, purchasing a selection of sculptures by major British artists between 1978 and 1988 for permanent public display throughout the City. The Corporation’s aim was to create a reference point in time for future generations growing up in the new City, relating the artistic activity and aims of the best British sculptors working at the time with the architectural style and planning during the period of expansion. The collection, now manged by Vivacity Culture and Leisure Trust, comprises of 27 works in a broad range of styles and a variety of materials including wood, stone and steel. It includes works by some of the UK’s most significant contemporary sculptors as well as examples by lesser-known figures. The sculptures are located at different sites around the city, however, the main body of the collection is sited at Thorpe Meadows and Ferry Meadows in rural or semi-rural surroundings and thus its nature is akin to that of a sculpture park. The sculpture is integrated with the natural landscape and is enjoyed by the public as part of leisure pursuits as opposed to an urban collection, relating to architecture, work and City living. Nene Park incorporates Ferry Meadows, Thorpe Meadows, Orton Mere and Woodston Reach and also Ailsworth, Castor and Sutton agricultural estates. The majority of the sculpture collection can be found around the rowing lake at Thorpe Meadows. Thorpe Meadows is only a short walk or cycle ride from the city centre and from Ferry Meadows Country Park which hosts a visitor centre. The diversity of Nene Park makes it a special place. The variety of habitats from woodlands and meadow through to lakes and waterways creates a haven for wildlife. The distinct areas which form Nene Park are connected by the River Nene which runs through them for six miles. Before reaching Ferry Meadows Country Park, the River Nene passes through the Trust’s agricultural estate which lies between the River and the villages of Ailsworth, Castor and Sutton. This area is connected to Ferry Meadows Country Park by a network of footpaths. 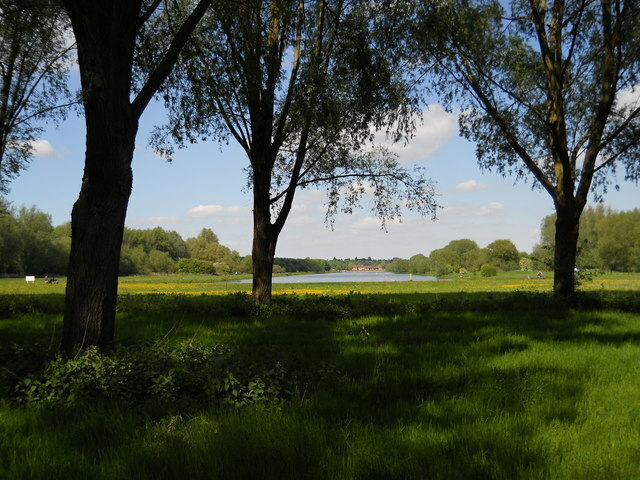 Ferry Meadows Country Park is at the heart of Nene Park and is situated around a wide meander in the River Nene. Even though it is the most popular area of Nene Park, the Trust ensures that recreation does not adversely affect the landscape and wildlife. There are ample opportunities to enjoy nature throughout Ferry Meadows including Ham Mere with bird hides which overlook wetlands. After leaving Ferry Meadows, the River Nene continues its journey through Orton Mere, Woodston Reach and Thorpe Meadows, which also contain lakes, wooded areas and meadows. These areas provide the chance to enjoy nature even closer to the city centre. Artists are invited to can apply from any artistic discipline. We welcome applications from artists at different stages in their career. The selected artists will have experience of socially engaged practice, creating work for outdoors and working in collaboration with communities and audiences. If you require any further information please call Mark Richards on 01733 893077 or email questions. Notification of selected artists will be by Friday 25th March. Vivacity is a young, independent, not-for-profit Culture and Leisure Trust. They manage many of Peterborough’s most popular culture and leisure facilities on behalf of Peterborough City Council. join one million others in enjoying a range of activities at one of Vivacity’s leisure centres – from swimming to badminton to football and for fun, to keep fit, or to excel at your chosen sport. Peterborough Presents… is an Arts Council funded ‘Creative People And Places’ programme. It is led by a consortium of local artists, arts organisations and communities working together to engage new audiences and participants in the creation of great art in the city. Specifically, they aim to create art that is new, diverse and, most importantly, relevant to local residents. Over the three years of the programme the consortium hopes to work with local communities to commission and create new and inspiring events, provide training and support for artists and promoters and raise the profile of the arts in Peterborough. Peterborough Presents sets out to increase opportunities for Peterborough people to participate in cultural activities. That could be everything from attending local festivals, exhibitions and shows, joining a choir or dance group , or engaging with a sculpture collection. Laurie Peake is a curator specializing in the development of large-scale and/or long-term projects in public spaces with artists in collaboration with communities. She is currently Director of Super Slow Way, one of ACE’s Creative People and Places programmes based in Pennine Lancashire. She came to Super Slow Way last year after working with Metabolic Studio on land and water use investigations in Los Angeles and the Intermountain West, helping deliver an ambitious project on the LA River. Whilst in Los Angeles, Laurie also led the first year MFA (Masters in Fine Art) in Public Practice at Otis College of Art and Design, a world-renowned post-graduate programme in socially engaged practice founded by artist Suzanne Lacy. From 2004 to November 2013, Laurie was Director of Projects and Programmes at Liverpool Biennial where she helped to establish strategic public/private partnerships to deliver temporary and permanent commissions with UK and international artists in public spaces across Merseyside. Projects such as Antony Gormley’s Another Place on Crosby Beach, Jaume Plensa’s Dream on the former Sutton Manor colliery in St Helens and Jeanne Van Heeswijk’s 2Up2Down were notable for the breadth and depth of their social engagement and transformative effects. She came to the Biennial from Alsop Architects where she worked on a host of regeneration projects across the North of England. In the 1980s Laurie was one of a small team that set up Tate Liverpool, often cited as the UK’s first regeneration project to use culture as its driving force. She went on to manage a dynamic programme at Camden Arts Centre, London, much of which involved artists working in public spaces. Subsequently at Arts Council England, North West, she continued to maintain her focus on public programming and innovative engagement strategies. Laurie holds a BA and MA in Art History from the Courtauld Institute of Art, London.